I’m proud and pleased to announce that the ‘Clutching at Straws’ remaster is finally available for pre order with the release date of November 23rd. As my favourite of all the albums I created with my former band it was always going to be a special project. I realised it would also be demanding as it involved revisiting some turbulent times and scratching some old wounds. The documentary we filmed for the Blu Ray on the CD box set version at the Old Reindeer Inn in Banbury back in May when we were interviewed by Mick Wall had a couple of awkward moments and makes for some interesting viewing. Old friendships however prevailed and the existing camaraderie is obvious. The footage is part of a great collection of material on the disc taking in demos from 1986 and from the follow up album that never happened in 1988. The promotional videos are all there and I have to admit having a big smile watching the ‘Incommunicado’ clip for the first time in years. The 5-1 mix is truly wonderful and was created by Andy Bradfield and Avril Mackintosh who was the original mixing engineer for producer Chris Kimsey in Advision studios back in 1987. Knowing the album inside out she has added, together with Andy an amazing new take on the songs and brought a whole new energy and life into both the 5-1 and new stereo mixes. The live material that is on both the vinyl and CD versions is from a legendary show in Edinburgh on December 19th 1987 and this is the first time it’s been featured in its entirety. Again I had some happy memories of a breath-taking gig I’m glad to see unearthed and finally released in all its glory. Mark Wilkinson as always has put together a great package and with Mick Wall’s new sleeve notes and a host of photos it makes for an interesting read. It was definitely a trip back in time for me on this project. I have to say I was extremely disappointed that the timing of the project moved as it was originally intended to be released in September to coincide with the tour I had booked around the initially proposed release schedule. Due to matters totally out with my control the delay has meant that I won’t have the ‘Clutching at Straws’ products on the merchandise stall on the mainland European tour. As with the previous ‘Misplaced Childhood’ box set re master I will be autographing both the vinyl and CD/BRD sets. Warners had originally moved the release to mid-November which would have meant it was impossible to sign them as I would be on tour. After explaining my predicament they were sympathetic and generously agreed to move the release back to the 23rd November. This means I can sign the copies when I come back from Europe and before the December UK tour. Having the ‘Clutching at Straws’ box sets on the road would have meant a saving for people on postage but with the release now on November 23rd I’m afraid there is no other option but to buy them on mail order. I’ll be carrying the product on my UK tour in December but as these are both limited edition products I can’t promise there will be any available. I will only have 750 vinyl box sets and 2500 CD/BRD disc box sets which is roughly what I sold on the last release. As I buy these from Warners I am effectively taking on the role as a retailer and as such my margins are relatively small. I’ve tried to keep the pricing as tight as possible but I appreciate that the postage costs I’d hoped to avoid by selling it on the road are expensive. I can’t reduce the price of the ‘Clutching’ box sets but after discussion with my team what I have decided to offer is a £2 reduction in price on any of the solo remaster catalogue which includes ‘Songs from the Mirror’, ‘Suits’, ‘Sunsets on Empire’, ‘Raingods with Zippos’, ‘Fellini Days’ and ‘Field of Crows’ if you order either of the ‘CAS’ remasters. To clarify if you buy a ‘CAS’ remaster from fishmusic.scot you can order 1 or more of the Fish solo remasters at the same time and get a £2 discount on each solo remaster which will be calculated at checkout. 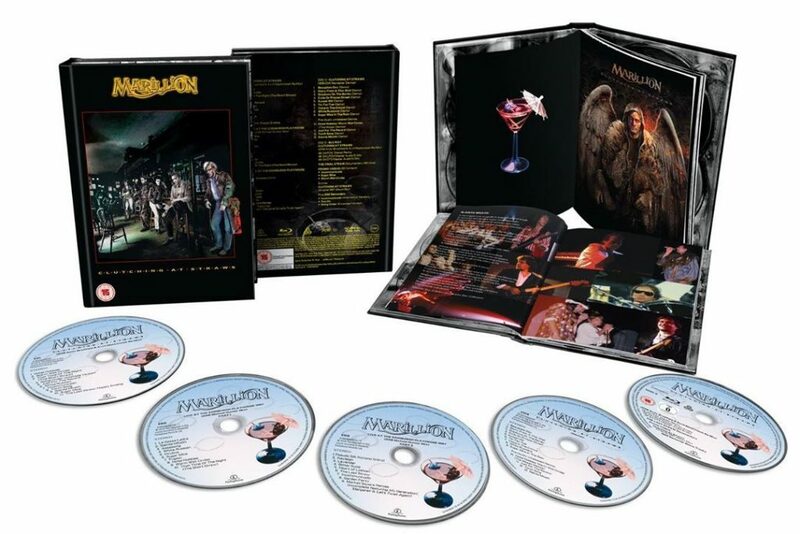 The solo remasters will have postage and packaging added and will be sent separately from the ‘CAS’ remaster when we receive your pre order. The autographed ‘CAS’ remaster will be sent out after the official release date 23rd November. 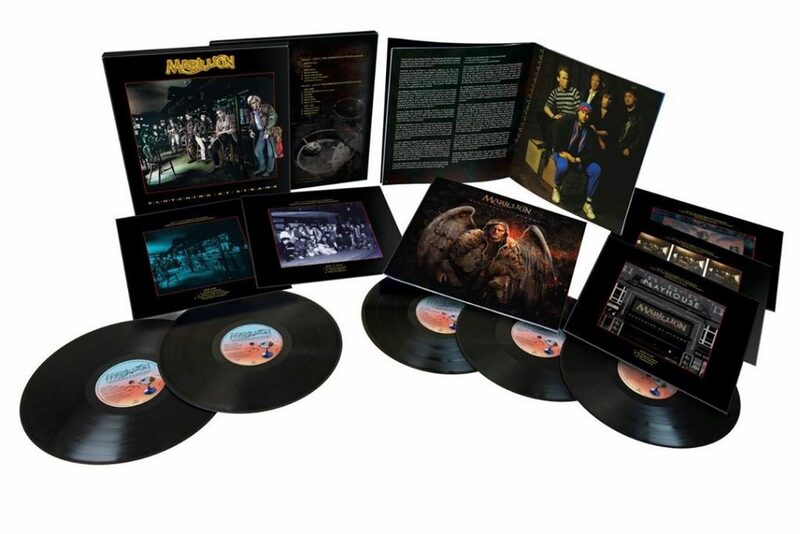 The vinyl box sets and CD box sets will also be sent out as separate packages. I stress that these are limited editions and after we are sold out there will be no restocking. I know there were quite a few people left disappointed when the ‘Misplaced’ CD box set sold out and who thought there would be more available. Warners have informed me that both the vinyl and CD/BRD disc box sets will be discontinued after they have sold this production run. I’ll be announcing the pre order of ‘A Parley with Angels’ EP next week. I’m glad to say that there won’t be such a long wait on this with the digipak version scheduled for release on the 20th September. 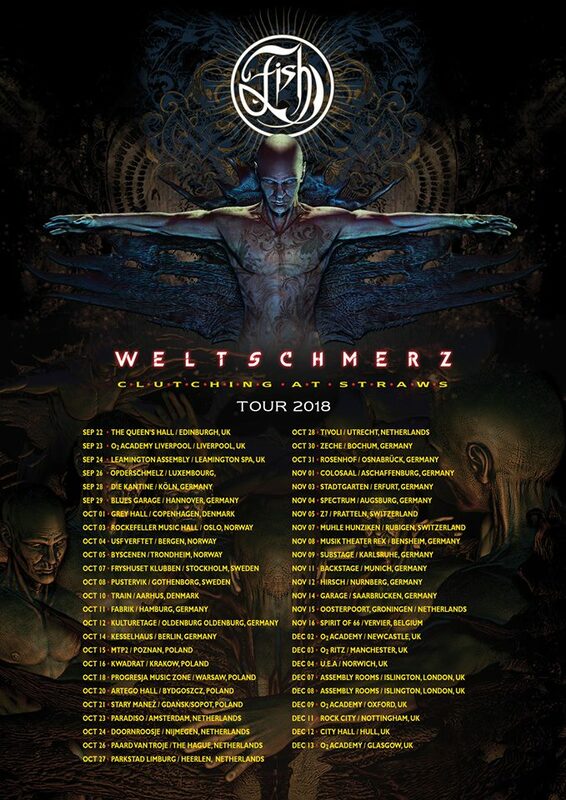 More details will be on social media and the website on the 12th September together with the release on digital download and streaming platforms of the first of the ‘Weltschmerz’ tracks, ‘Man with a Stick’. The three new songs for the new release are sounding fantastic and the live material packs a punch on its own. I think it’s a good combination and a great wee package to introduce fans to the new material and direction. You’ll find out more next week. Your help and support on these releases is highly and sincerely appreciated and I hope you’ll be as pleased as I am with the new ‘Clutching at Straws’ packages.